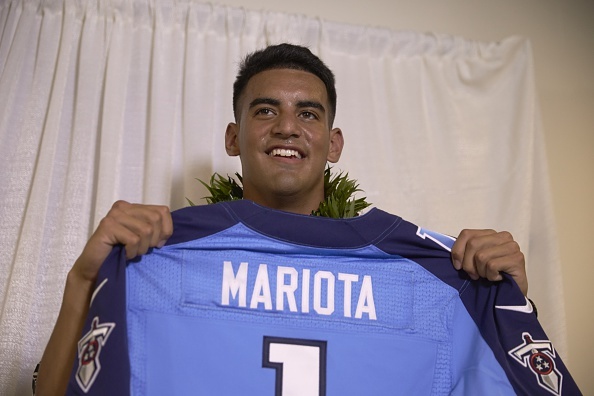 Titans rookie quarterback Marcus Mariota, who operated a spread offense out of the shotgun formation at Oregon, will face plenty of changes at the next level. One of them will include working from under center. 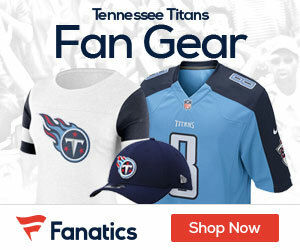 The Titans ranked sixth in the NFL in snaps out of the shotgun in 2014. Of the 919 plays run by the Titans a year ago, 596 were out of the shotgun formation — 64.9 percent of the snaps, Jim Wyatt of the Tennessean reports. So it’s not like Mariota will be giving up the shotgun cold turkey in the NFL. Hardly. Yet Whisenhunt admits the team’s high percentage from a year ago is probably a reflection of how games went in 2014. The Titans, of course, usually were in catch-up mode, losing nine games by at least two touchdowns en route to a 2-14 finish. Still, Titans quarterbacks coach John McNulty said the team would prefer to operate in the shotgun “probably 50 or 60” percent of the time in 2015. Mariota began practicing snaps under center not long after his college season ended, and he showed off his skills at the NFL Combine and his pro day. He’s had few issues since, coaches say. On a daily basis, the Titans are preparing him for life under center and in the shotgun. But it’s safe to say Mariota will be doing what’s most natural to him more than half of the time. “I think you are in the ‘gun a little more now anyway,” McNulty said. “The under center gives you a little more threat of the run and play action, and to push the ball down the field type of thing. But the way things go with the pass rush, you are in the ‘gun a big part of the time. He’d better get in all the work he can now, before the team’s putrid OL gets him hurt and he sits out most of the season on the IR list. They should play him in the shotgun every play, because it’s the only chance he’ll have against the rush.